Combining the techniques of baby massage with our natural healing energy to give baby a wonderfully relaxing experience. This 5 week course focusses on you nurturing and strengthening your natural bond with your baby. Learn baby massage skills as well as how to connect to Earths natural healing energy, empowering your Inner Earth Mama. This gentle supportive course helps mamas through those precious early weeks, helping to balance hormones, relieve anxiety and worries so that mama can recognise her unique bond with her baby, strengthening their beautiful love connection. With the natural healing energy mamas can recognise the power of their intuition and how they intuitively understand their baby. With the power of touch through the gentle baby massage, both mama and baby relaxes as their bodies release oxytocin and their love bond grows. Such a beautiful, supportive experience. Suitable for mamas with babies from 10 days until crawling. Oil, towels and equipment will be provided. Venue :- Rainham, Gillingham, Kent. Date – Friday 26 April 2019 to Friday 24 May 2019 – 4 spaces available. Date – Friday 14 June 2019 to Friday 12 July 2019 – 5 spaces available. To book please either BUY NOW or email info@reikibabies.co.uk a non-refundable deposit of £30 is required to confirm your place with the balance to be paid at the first session. Join our Reiki Babies Mummy & Baby Relax Classes (term time only). These classes are a space for you to feel supported on your journey as a mum, helping to ease worries, anxieties and strengthening your natural bond with your baby/children in a gentle, nurturing and empowering environment. With tips, techniques and mindfulness tools on how to calm, balance and relax, connecting with natural healing energy for yourself and your family. We also explore how we can support ourselves and our family, from how to help our children feel safe, sleep worries and for babies using the energy to help settle baby, ease colic or wind discomfort and bring relief to other ailments as well as helping you to trust your intuition more. And, of course, receive some fabulous Reiki healing energy for yourself, to really recharge, rebalance and boost your confidence in your natural intuitive self. Suitable for all mums. Babies welcome with mum. Date – Friday 26 April 2019 to Friday 24 May 2019 – 2 spaces available. Date – Friday 14 June 2019 to Friday 12 July 2019 – 6 spaces available. KG Hypnobirthing is a complete antenatal training programme. It is simple, logical and profound. It is much, much more than a few techniques to use in labour, though we give you the techniques too. KG Hypnobirthing gives you the knowledge and the tools to have the best natural child birth for you. You need information and knowledge in order to get the best from the system in which you find yourself. You need to understand the implications of the choices you may be required to make. Most of all, you need to release fear and learn to trust your body, your instinct, and your baby. In order to do this, you need information and knowledge. But we can’t do it for you. We are the signpost. You make the journey. We regard it as our responsibility to give you all the information and support we possibly can to help you, and we will always be there for you to refer to after you have attended a class with us. Expectant parents can attend a hypnobirthing course at any time yet we find parents tend to enrol on their hypnobirthing course just after their 20-week scan. Most couples tend to start between 26 – 33 weeks. The earlier you learn these range of tools and techniques the more time you will have to practice and enjoy this positively, empowering experience. Course run over 2 consecutive Sundays. To book please email info@reikibabies.co.uk a non-refundable deposit of £45 is required to confirm your place with the balance to be paid by 7 June 2019. Reiki Babies Course – including a reiki attunement & training. Learn Reiki and how to use this fabulous ancient healing technique for yourself, your baby, your family and friends. This 5 week course focusses on teaching you how to channel Reiki healing energy. You will learn how to use the healing energy that flows from your hands to nurture and strengthen the bond with your baby. 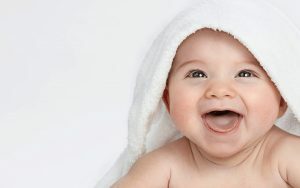 With techniques on how to help baby with teething worries, colic, constipation, colds and how to help baby settle too. This course also supports you as a parent in easing anxieties, worries and is a natural relaxing, de-stressing experience. Suitable for mamas with babies from 10 days until approx 1 year. To book please email info@reikibabies.co.uk a non-refundable deposit of £25 is required to confirm your place with the balance to be paid at the first session. On date to be arranged we will be facilitating a group workshop for pregnant mums, mums or dads and babies and mums or dads with older children to learn Reiki. This workshop will focus on both giving yourself Reiki to support yourself as well as how to give Reiki to your baby and tips and advice on how to support and bring Reiki healing to older children too. This workshop is personalised for mums and dads to explore how Reiki can help support the family especially for connecting and bringing a nurturing healing experience to children. Mums and dads with little ones 6 months or under are invited to bring their babies yet we suggest mums and dads with older children to bring a teddy or similar to use as a connection to their child or children so we can explore sending healing energy distantly too. This is a wonderful opportunity to experience and learn the basics of Reiki. Explore your own unique healing gifts in a safe, encouraging space so that you’ll be able to channel this empowering healing light to yourself, your children, your friends and other family members. To empower and encourage deep self-healing. This is a fabulous opportunity to learn in a group environment at a group rate of £95 per person. The workshop will be limited to 4 participants and will commence at 10am, finishing at 1pm. You will receive your Reiki One attunement and also receive guidance on how to give Reiki to yourself, your baby, your children and your friends and family. To book please email info@reikibabies.co.uk, a deposit of £25 is required to confirm your space.